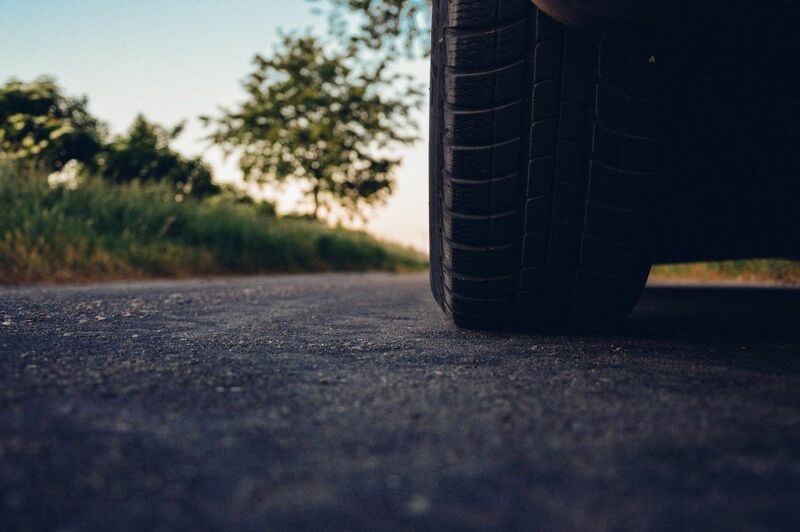 Before changing your tire, park in a safe place, as far as possible from traffic, and on a flat ground. Place a heavy object, such as a log of wood or a rock, in front of the tires. 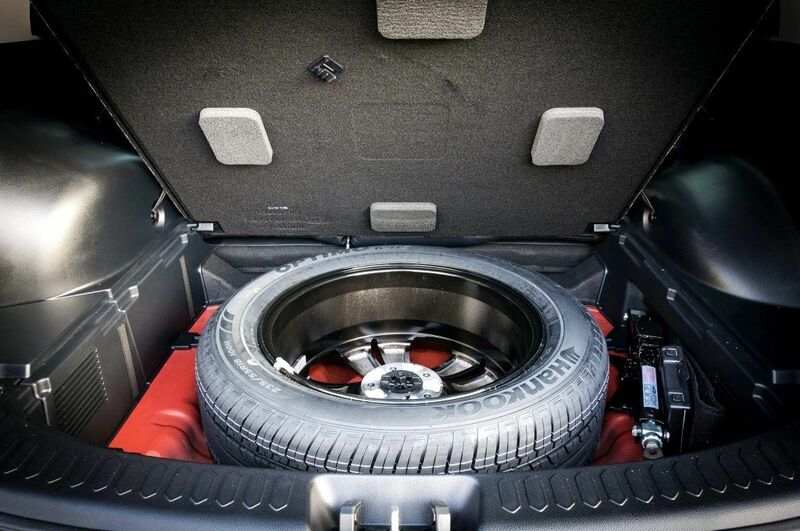 In the trunk of your car, you should find the spare wheel, a jack, a key to loosen the bolts and an instruction manual. 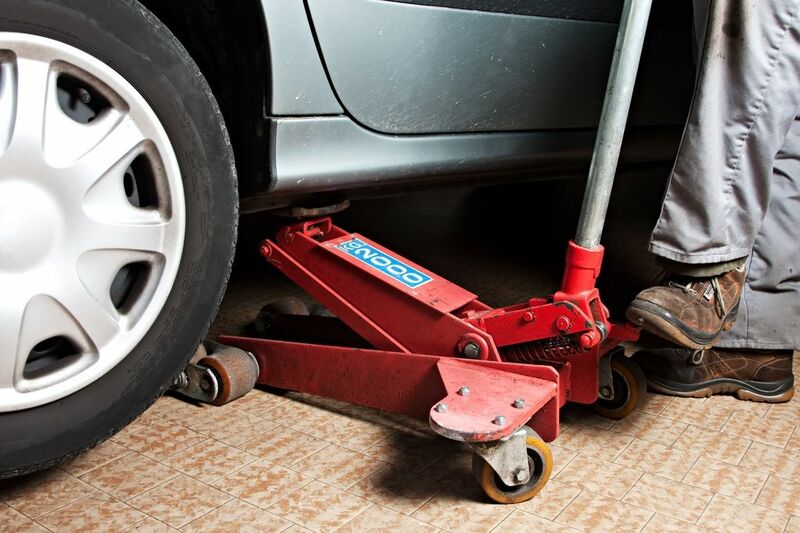 Use your jack by placing it under the chassis, near the wheel that needs to be changed. Normally, you should see a notch in front of or behind the wheel where the jack needs to be placed. Then, block it by lifting it, without lifting the car. 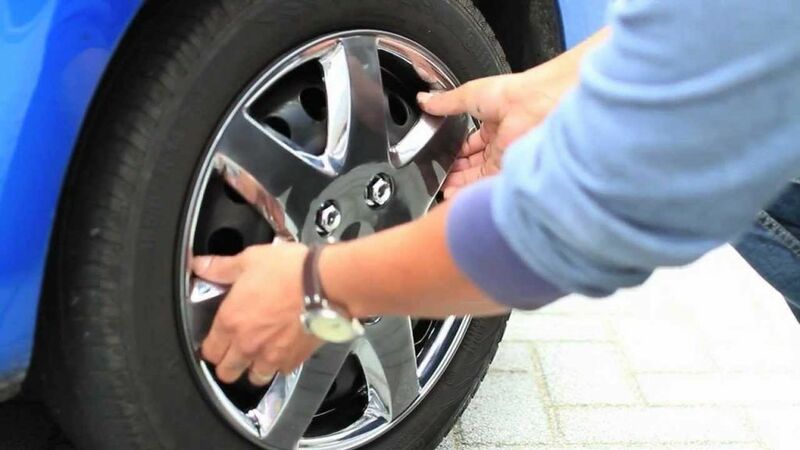 Loosen the bolts, without removing them, and remove the wheel cap. 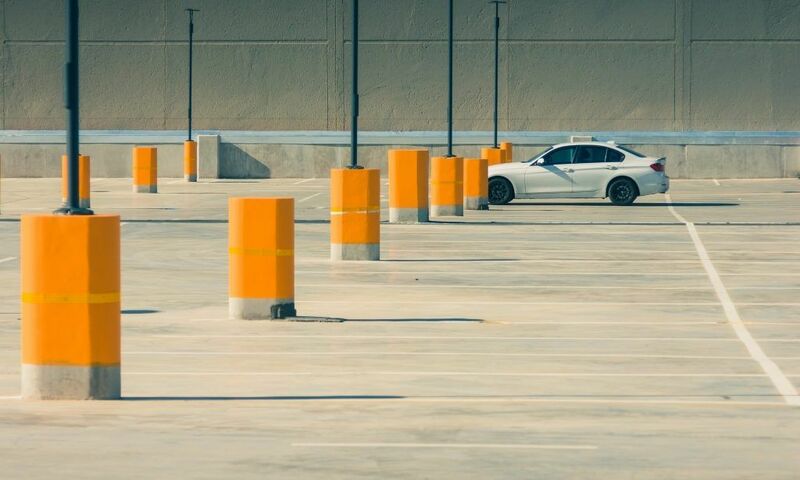 Make sure the wheel is not rotating. 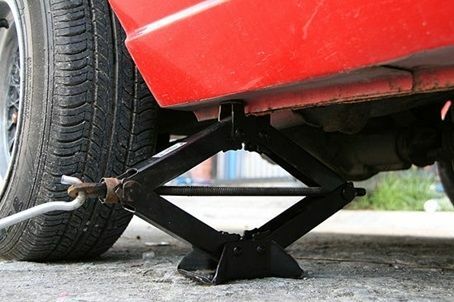 Using the jack, lift the tire, making sure your car remains stable. 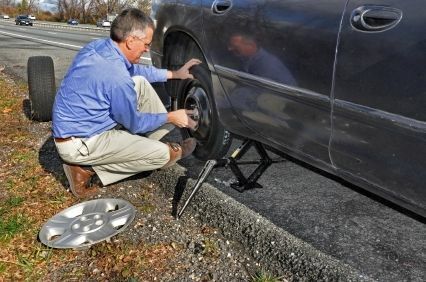 Remove all bolts first from the tire and then remove the tire. 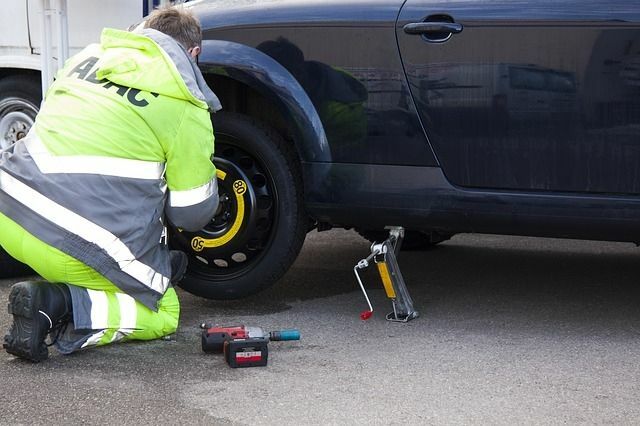 Be sure to align the tire holes in the rods, then tighten the bolts until they lock. Be careful not to put your tire upside down! 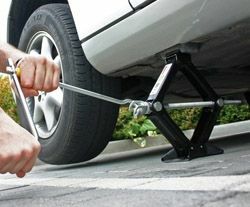 Put the car down using your jack until it rests on the ground. 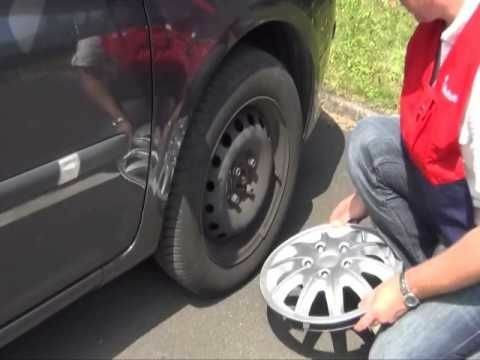 Retighten all bolts and replace your wheel cap. You can now drive your vehicle to a garage!